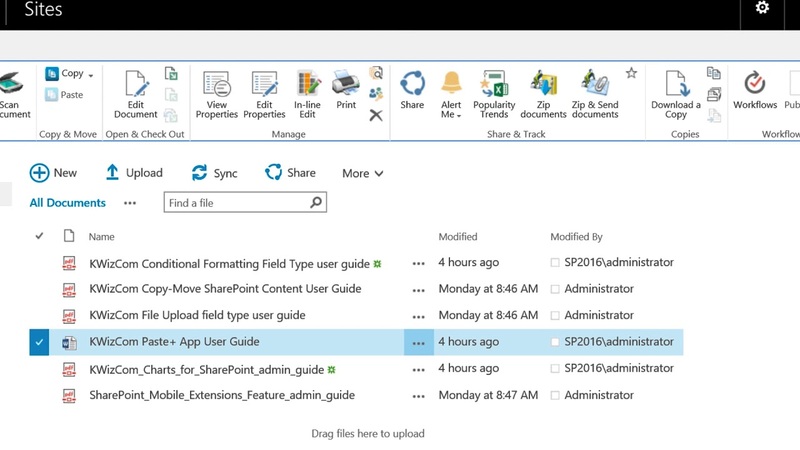 With the Copy/Move SharePoint Content add-on, you can easily copy or move SharePoint list items, calendar events, documents, folders and document sets across your entire SharePoint farm! It is as simple as Copy & Paste! While managing our content in SharePoint, same as with our desktop environment, we often need to simply copy, move and duplicate existing documents and items. Why? Because it simply saves a lot of time! Simply select the items you wish to Copy or move, click the Copy or Move ribbon button, and then browse to your destination list, library or folder and click the Paste ribbon button. Items are copied with all meta data, original creation date and version history (if enabled in both the source and target locations). 5952 Added: change default from "overwrite" to "paste items with a new name"